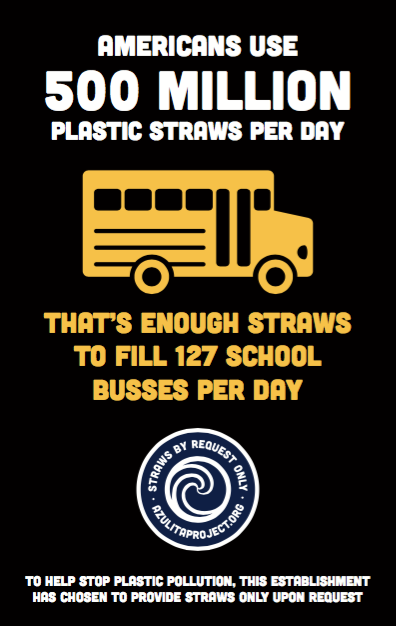 Many businesses are implementing an “offer first” or “by request only” policy for providing disposable straws to customers. This cuts down on waste as well as costs to the business. You can help by politely refusing straws when you order drinks. The Azulita Project is heading a campaign to reduce straws and other single-use plastics in Flagstaff, AZ. Look for these or similar logos at establishments that have chosen to participate. Disposable cups and other containers are another major contributor to needless waste. Many businesses are working to cut down on single-use containers, but you can help by bringing your own whenever possible. When you dine or shop, think about carrying a reusable bottle, bag, box, straw, or utensil set. 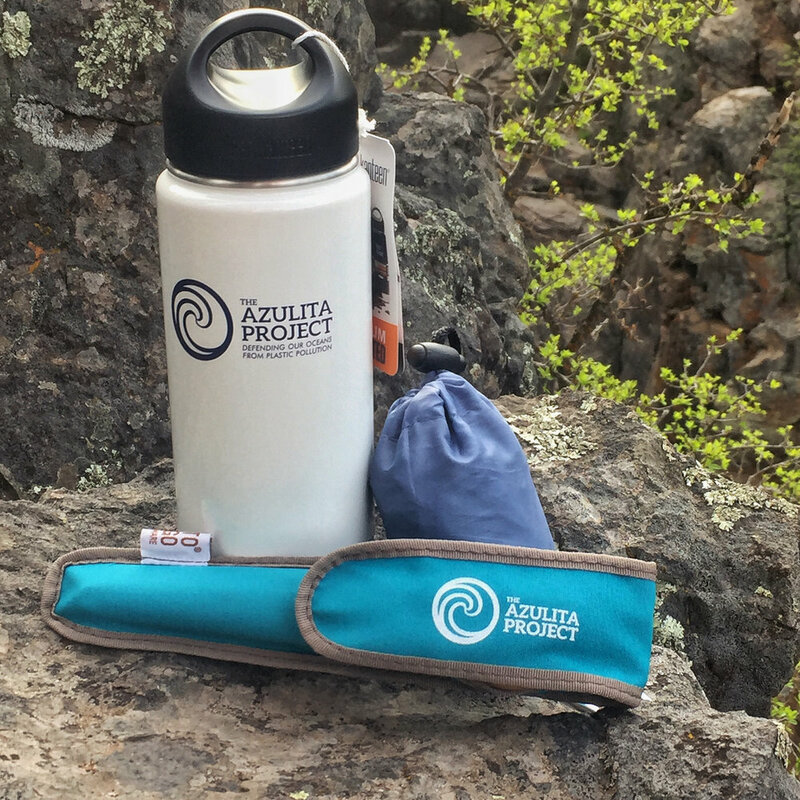 Mountain Sports in Flagstaff, AZ currently sells custom Azulita Project shopping bags, bamboo utensil sets, and Klean Kanteen bottles. 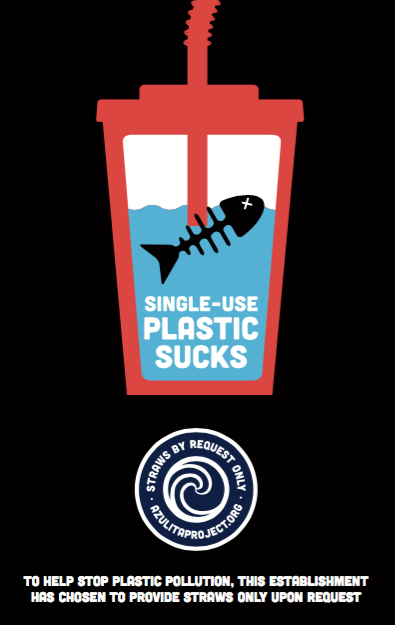 Buying them supports us and your own commitment to reduce single use!